College means making lots of big decisions: where to go, what your major will be, and what classes you’ll take, and more. Deciding where you’ll live while enrolled in college is also extremely important; it can have a huge impact on your overall experience, not to mention your living costs. If you live on campus in a dorm, you’ll pay for housing, but if you live off campus, the savings you expect could very easily be offset by transportation expenses. Below you’ll find four of the most common living and travel scenarios for college students—both on campus and off, with or without a car—including the best ways to control your transportation expenses. One of the most cost-effective ways for students to attend college is to live in student housing and not own a car. That way your major concerns are tuition, room, board, and books, without the additional overhead that comes with car ownership. The challenge here for some students is accessing transportation when they need it. Large universities usually provide bus service and in some cases the service is free. For example, the Wolfline Transit System serving North Carolina State University students is free and tailored to students’ class schedules. Other schools may have limited bus service, charge a fee, or require students to use public transportation. If your school falls into the latter category, a monthly pass is the most cost-effective way of getting around. For those times you must travel farther away from campus and are in need of a ride, you might be able to connect with other students through your college’s online carpool board. You might also consider using a ride-sharing service or a taxi if no other options are available. There is a distinct advantage for students who live on campus and own a car: you can travel where and when you want without relying on public transportation or the generosity of other students. But campus cars come with a cost—for more than just gas. 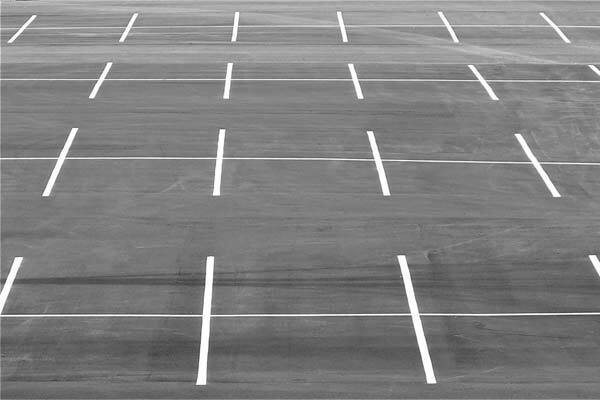 Many colleges charge for required annual permits, and fees can vary widely, depending on where you park your car. For instance, the Ohio State University offers students as many as eight parking choices ranging from parking lots to garages. But the fees are steep, ranging from $115 to $858 per year. And you thought your textbooks were expensive! Other costs associated with keeping a car on campus include auto insurance, fuel, maintenance, and repairs. Insurance costs can rise too, especially if you keep your car more than 100 miles from your home. You’ll need to notify your insurer of that change. Although you might be able to remain on your parents’ policy, the cost could also go up. Let’s face it: campus housing isn’t always a desirable option. Having a roommate, plus several other students on one building, sharing a study room, common room, and maybe even bathroom can make studying (and living) downright difficult. The last thing you want is for your grades to be adversely impacted by the many distractions of your living situation. If you live off campus, not having a car might not impact your costs much; You also get the bonus of more personal space with your own bedroom and bath. One drawback is finding an affordable place to live within a reasonable distance to campus, because they’re in higher demand and can charge higher rent. If you live beyond walking distance you may need to invest in a bicycle or pay for public transportation, the latter cost perhaps erasing whatever savings you thought you might have gained. This is all in addition to paying rent, utilities, and other living expenses you’d expect. Paying renters insurance, being locked into a lease, and adding household chores to your schedule are other concerns to keep in mind, if you’re thinking about living off campus. If you live off campus and own a car, you may be considered a commuter student. Typically, these individuals live at home with their families and travel back and forth to class. The advantages here are many, including living in a familiar environment, perhaps rent-free, with family support at the ready. All the overhead of owning a car mentioned in the second point carries over here. But that’s a cost the family may find more bearable, especially if living on campus is much more expensive. The student commuter will still pay for a parking permit, but that cost is usually far less than the expense of living on campus. Even so, the cost of a permit can prove expensive; for example, San Jose State University charges $384 for one academic year. Student commuters are often not your typical college student; many are returning students, already raising families, holding down jobs or simply looking to advance their careers. With their personal income in the mix, owning a car often makes the most sense. Owning a car while attending college makes sense for some students, while others have little choice or desire and may be okay with other transportation options. You should factor in your transportation costs as part of your college decision-making process. Don’t let them surprise you as a forgotten and unwelcome expense after the fact! Matt Keegan is a car enthusiast and writer for CARFAX. He covers a range of topics, from buying the best car for you to maintaining car value throughout its life. He enjoys helping students navigate the college landscape with transportation tips. Plus, it allows him to relive his college glory days. For more advice from Matt, you can follow @theautowriter on Twitter.